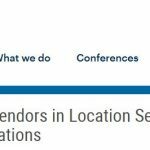 In May, 2016, Grizzly Analytics organized the Indoor Location Testbed at the GeoIoT World Conference. 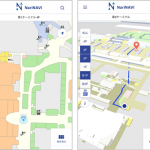 The Indoor Location Testbed was the first industrial evaluation of indoor location solutions that measured a wide range of real-world metrics and produced a multi-dimensional analysis that reflects the complexity of the area. In september the video recorded during the testbed are published on the youtube channel of grizzly analitycs. Below we include an edit of the original GiPStech’s video recorded during the competition. The videos of the other participants and the original version of the GiPStech’s video are available on the grizzly analitycs youtube channel. In the testbed GiPStech setup is for a fully infratructure free system: indoor localization without beacons or WIFI, only geomagnetic. 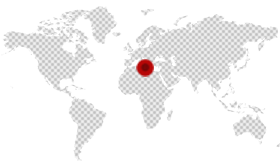 On the following edit we highlighted the “true” position with reference to the the one that our IPS (indoor localization system) detected in real time. As you can see the attainable precision and stability is very high even though we have not used any beacon, wifi or external infrastructure. The shown results are obtained only using the geomagnetic field as a source signal. GipsTech’s solution is infrastructure-free, combining motion sensing with magnetic field fingerprinting. It achieved accuracy much better than industry norms, with no infrastructure whatsoever. It was the only solution in the testbed that did not use any radio signals. 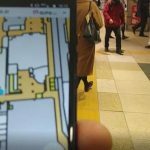 We can summarize the performace with the phrase: “indoor localization without beacons”!. While the testbed videos show the Grizzly Analytics team taking distance measurements, the analysis used in the report was based on a more accurate analysis of videos and pictures taken during the testbed. 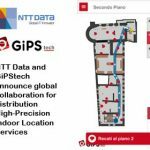 Grizzly Analytics has been tracking and reporting on the indoor location area for over 5 years, and has analyzed technologies from over 150 companies. See http://www.grizzlyanalytics.com for reports, articles, videos and other services. Want to see in action an indoor localization without beacons? Contact us. About Grizzly Analitycs: Many analyst companies tell you about market shares, projections and feedback. Only Grizzly Analytics focuses on explaining and differentiating technologies, including technologies still in research & development. 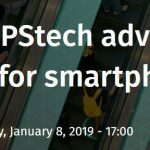 Our key focus areas include indoor location technologies, Internet of Things, Smart Homes and Smart Cities, and other innovations related to mobile. In these and other areas, we explain all the technologies, and analyze the differentiation and significance of each. 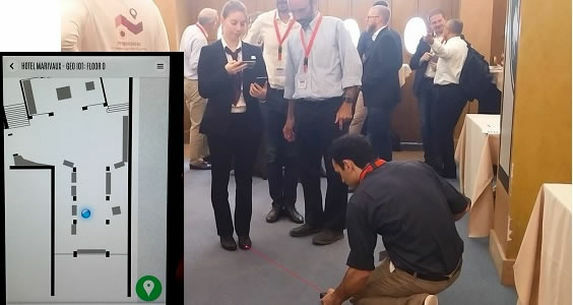 About the TestBed: This first industrial evaluation of indoor location solutions measured many more metrics than indoor location competitions seen in the past, including real-time location accuracy, location accuracy after stabilization, time to stabilization, accuracy consistency, set-up time, numbers of beacons or locators deployed, and more.